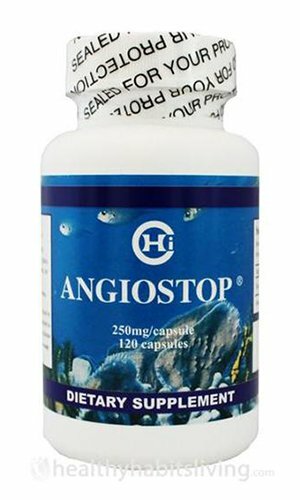 Angiostop is best known and traditionally used for immunity and digestive health. It is designed to help maintain normal immune health. The active ingredient in Angiostop, Philinopside A, is extracted from a special sea cucumber, rich in polysaccharides and lactones, found in the South China seas. Sea cucumbers have been an integral part of Chinese folk medicine for centuries, to help nourish the blood and to promote longevity. There are no preservatives, sodium, artificial colors, yeast or animal products contained in this product. Caution: No toxicity has been noted at normal doses. If pregnant or breast feeding ask a healthcare professional before use. Patients with cancer or cardiovascular disease should use this product with a physician’s supervision. “Angiostop’s greatest benefit is its amazing ability in many cases to stop the metastasization or spreading of cancer cells. This is a must have for our cancer patients who are currently suffering from cancer or have recovered but want to take preventative measures against the cancer recurring.” David Sloan, PhD, NNCP, RNT, Clinic Director – Sloan Natural Health Center.